"A business is the product of its employees, and Clear Title is great!" Clear Title office are amazing." "They're extremely prompt, very professional and always accommodating"
"Very responsive to my clients and myself. Never any DRAMA." "I saw how hard they worked and the level of care they give and I was hooked!" " I have worked in the financial industry for almost 10 years & Tiffanie is a wonderful, rare find!" 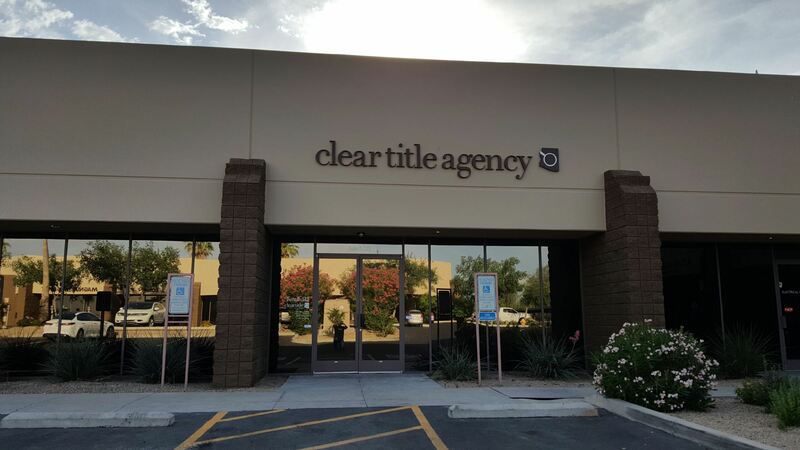 The Arrowhead branch of Clear Title Agency of Arizona is located in the Northwest Valley. Tiffanie is a born and raised a Phoenix, Arizona native. She graduated from Ironwood High School. Later, she lived in Chicago for five years before venturing back to her home to Arizona, to embark on a career path in title. Tiffanie takes pride in daily contributions to Clear Title and brings 14 years of experience to the table. Using her disciplined work ethic, she professionally ascended through the field from receptionist to her current position as the Clear Title Arrowhead Branch Manager. Upon arriving at Clear Title, Tiffanie set her sights high and told Clear Title President Jim Clifford that she aimed to own her own branch. He responded with sincere advice that the only thing that could hold Tiffanie back was herself, she took that advice to heart, followed her ambition, and now three years later holds the title of Branch Manager. To Tiffanie, every new client is considered family and taken care of accordingly. She is most complimented on her swift tactful communication and her ability to keep loose ends tied together. On a daily basis Tiffanie wears many hats and never fails to deliver. Outside of her career, Tiffanie spends much of her time with her husband and their four sons. Family is her priority and she can often be found at one of her boy’s sporting events. Tiffanie and her sons also enjoy volunteering for Singleton Moms, a charity for single parents fighting cancer. Meghan Ruby has lived in Arizona since the age of five after she moved here with her family from Massachusetts. She accumulated a solid foundation of experience as an administrative processing assistant working with mortgages before finding her way home to Clear Title. Meghan is a valued administrative assistant within Clear Title. She has an exceptional ability to actively listen to clients to truly discover and achieve goals. Because Meghan is naturally a swift learner, she’s learned the ins and outs of exceptional customer service and channels that talent into her swift follows through. The title and escrow industry sparked Meghan’s interest due to its fast-paced and challenging nature. She values the tight-knit family atmosphere at both Clear Title and within the Arrowhead branch. It’s one of Meghan’s priorities to spend her time helping others and giving back to the community. During the holidays she serves meals with the Salvation Army in Downtown Phoenix. In the past she has also been a “big sister” with the Big Brother/Big Sister program, spent time working with children with Down syndrome and Autism, and assisted with the Special Olympics. Jeff is busy making sure that tasks are being completed throughout the day, but he’ll have his bio up shortly. Renee Cazzell was born in Toledo, Ohio, but moved to Arizona forty years ago and has lived here ever since. She attended high school at Paradise Valley High School. Renee has over fifteen years in customer service and building relationships. She believes that developing trust is very important in this industry and has made it her top priority. Always maintaining a positive attitude inside and outside of work has allowed her to make sure that she and the people around her have a fantastic day. She focuses on exceptional communication in every interaction and always acknowledges her customers and potential customers as individuals whose time and experience is important. She works hard to exceed expectations. She is the recipient of the Living the Vision Award while employed at Arizona Public Service. In April 2018, Renee became a Sales Executive at Clear Title. Here she enjoys the adaptability required when working with diverse personalities and situations. She appreciates having the opportunity to build relationships between agents and escrow officers while meeting new people and learning a new industry. She wishes to continue to grow professionally and personally and increase performance metric goals. Renee enjoys spending time with her family in her free time. They love to have BBQs, watch sports, and go hiking. She has a grandson named Jayce who she can’t get enough quality time with. Renee also volunteers at Halo Pet Rescue. Samson is busy assisting the escrow officers and will have his bio up in no time! 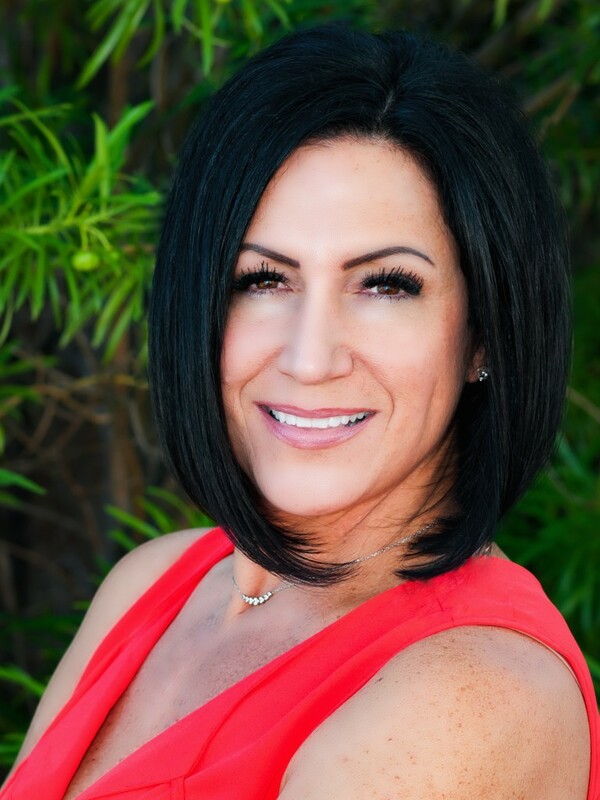 "Tiffanie went above & beyond..."
"I just wanted to take a moment to write you and let you know how absolutely wonderful Tiffanie Marrero, the Branch Manager at your Arrowhead office, has been in mine and my husband’s closing process on our home. We have had quite a few communication issues with the NACA program and Tiffanie has graciously been there to help me this past week. I was almost in tears over the fact that we were supposed to be closing this Thursday & I had not received an updated from NACA after repeated phone calls & emails. Tiffanie went above & beyond to reassure me she would do everything she could to help us close in a timely manner. The lack of communication I was receiving from my Mortgage Counselor at the NACA Office over the past month was fully remedied by Tiffanie’s excellent communication & customer service. I have been very discouraged the past few weeks, and she has completely turned this experience around for us. I cannot stress enough how wonderful Tiffanie is. She is knowledgeable, friendly & genuinely cares about her customers. I have worked in the financial industry for almost 10 years & Tiffanie is a wonderful, rare find!" "She has great ideas and can put anything together." "LaVerne is the best escrow officer! April is amazing at marketing. She has great ideas and can put anything together." "We've never had one issue with Clear Title." "Tiffanie, Meghan and April in the Arrowhead office always go above and beyond to make sure my clients (and our real estate team) are well taken care of. After my first transaction with them I saw how hard they worked and the level of care they give and I was hooked! I am pretty passionate about competency levels in title companies after years of seeing escrow officers and staff make silly mistakes that cause major delays. We've never had one issue with Clear Title. Thanks for everything you guys do!" "They make everyone feel like they are family there." "I will always bring my clients to Clear Title Arrowhead branch. They are on point with their communications and will go the extra mile to handle any issues that may arise during the escrow process. I love my girls at the Arrowhead branch. They make everyone feel like they are family there." "They're extremely prompt, very professional and always accommodating..."
"Tiffanie, Meghan and April as well as the rest of the staff at Clear Title in the Arrowhead office are amazing! They're extremely prompt, very professional and always accommodating to myself and my clients!" "...Tiffanie and everyone else at Clear Title Arrowhead were wonderful to work with." "As always Tiffanie and everyone else at Clear Title Arrowhead were wonderful to work with. I appreciate the knowledge they all have. I also like knowing that my clients are getting excellent service." "Very knowledgeable and always willing to help." "I love working with Tiffany and team. Very knowledgeable and always willing to help." 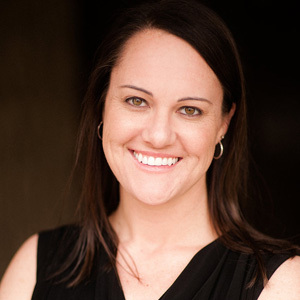 "We love Clear Title because of Tiffanie, she makes the process easy and our clients are treated professionally. It is important to us that we know that Tiffany and her team are efficient, knowledgeable and make the home buying experience one that is pleasurable and not fraught with difficulties. A business is the product of its employees, and Clear Title is great!" "I love the team at the Arrowhead branch. Tiffanie, April and Meghan are AMAZING!!! For me communication is the KEY to being successful in this business and these girls get it right every time. They identify potential issues and handle them accordingly. Very responsive to my clients and myself. Never any DRAMA. They have never let me down. I put my full trust in Clear Title and would highly recommend this team to anyone in the industry." "Great office team! I love working with the girls!" "Laverne robbins and tiffany marrero have handled over $2,000,000 in real estate escrows so far this year." "Laverne robbins and tiffany marrero have handled over $2,000,000 in real estate escrows so far this year. They have exhibited professionalism, willingness to sign with mobile notaries, meet at other clear title branches in closer proximity to my clients location, shown good communication will all parties involved, and provided accurate numbers on HUD-1 Settlement Statements. 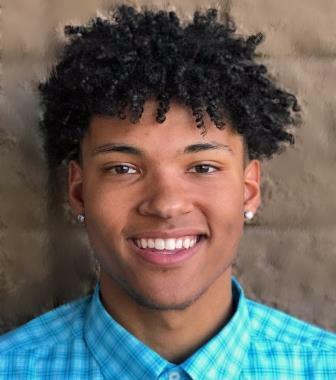 I will continue to use them for my real estate deals and encourage the buyer's agent to use them on my MLS Plano advertisements." "...I always use Tiffanie at Clear Title Agency and refer her as often as I can!" "I love working with Tiffanie Marrero and the Arrowhead team! Their professionalism and responsiveness to me and my clients is unmatched by any other title/escrow company I've ever used. They are experts in what they do and handle all my transactions efficiently and with a great attitude. It is extremely important to have a team you can rely on and trust in our business. That is why I always use Tiffanie at Clear Title Agency and refer her as often as I can!" "It is nice to work such professionals." "Tiffanie, April and all of the employees at the Arrowhead Clear Title office are amazing. It is nice to work such professionals. Tiffanie is great at communicating and explaining the process to my clients. She always has a smile on her face and goes above and beyond what her duties are. If you have never worked with Tiffanie please give her a chance. You will not be disappointed!" "Never a delay on answering the phone or call back even day or night even on Sat." "It is difficult for me to explain how much I enjoy working with the team at Arrowhead. With TRAW REALTY and 45 yrs of experience I can tell you they are the very best. Never a delay on answering the phone or call back even day or night even on Sat. The marketing with April Bolley is fantastic and so quick. and efficient. Tiffanie Marrero and her team are great. We try to push all escrows their way. FIVE STARS." "I have worked in the financial industry for almost 10 years & Tiffanie is a wonderful, rare find!" 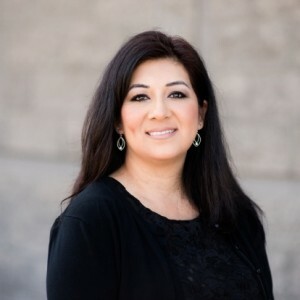 "I just wanted to take a moment to write you and let you know how absolutely wonderful Tiffanie Marrero, the Branch Manager at your Arrowhead office, has been in mine and my husband’s closing process on our home. We have had quite a few communication issues with the NACA program and Tiffanie has graciously been there to help me this past week. I was almost in tears over the fact that we were supposed to be closing this Thursday & I had not received an updated from NACA after repeated phone calls & emails. Tiffanie went above & beyond to reassure me she would do everything she could to help us close in a timely manner. The lack of communication I was receiving from my Mortgage Counselor at the NACA Office over the past month was fully remedied by Tiffanie’s excellent communication & customer service. I have been very discouraged the past few weeks, and she has completely turned this experience around for us. I cannot stress enough how wonderful Tiffanie is. She is knowledgeable, friendly & genuinely cares about her customers. I have worked in the financial industry for almost 10 years & Tiffanie is a wonderful, rare find! Thank you." "Tiffanie has exceeded these expectations time after time!" "I have been working with Tiffanie Marrero for nearly 7 years and I cannot see myself going anywhere else for this level of service. I have been a real estate professional for more than 20 years and therefore I have expectations for my client’s needs and Tiffanie has exceeded these expectations time after time! She is prompt in getting back to me and my clients. She takes care of my clients with a passion to serve and kindness of care. I have yet to receive this type of professionalism from anyone else in the industry – certainly not at these high standards. I think we work well together because she listens intently to get the job done right and in return is attentive to each individual’s needs. When I call her, she always answers the phone with a smile as if it was the best part of her day! I trust Tiffanie with my clients and I highly recommend her to anyone!" "Your professionalism and willingness to work as a team to better the Member’s purchasing experience is almost a lost art..."
"I want to thank you [Tiffany Marrero] for such a well job done! I know I came in at the last minute with Michael’s file, so I wasn't completely up to speed on the loan. Your professionalism and willingness to work as a team to better the Member’s purchasing experience is almost a lost art when I deal with title companies; so you are a breath of fresh air. There is a reason your manager referred to you as a ‘Rock Star around the office’ and I look forward to a chance encounter in working with you in the future!!!" "...Tiffanie was not only on time but mostly ahead and kept me informed at all times." 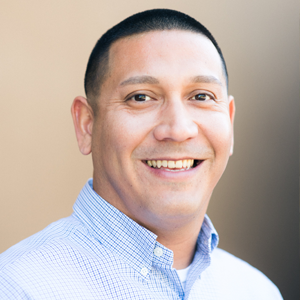 "I was recently fortunate to have Tiffanie [Enis-Marrero] as the Escrow officer on my closing in El Mirage. Efficient, professional and likable are a few ways I can describe Tiffanie. I am organized and try to keep a strict time line when closing because I dislike surprises at this stage of the process and Tiffanie was not only on time but mostly ahead and kept me informed at all times. When I do not have to call to find out where we are in the process is gold to e so I thought I would pass along that finding an EO that works hard and enjoys their job is someone I will use as often as I can." "You really stayed on top of everything." "Tiffanie [Enis-Marrero], you are everything the Pascale group says you are. You really stayed on top of everything, Steve just emailed me also how impressed he was with you. He thought I did a great job recommending you. But it really is all you. Thanks again ESP for running over to get the td today, much appreciated." "I was recently fortunate to have Tiffanie [Enis-Marrero] as the Escrow officer..."
"...and explained clearly what I needed." "...one heck of a great partner in accomplishing our goals." "She is extremely knowledgable on closing NACA loans." "I will always use Clear Title." "I met Tiffanie through a NACA transaction. She was amazing through that transaction. Then I met April and Meghan and was equally impressed with the entire office. They give an amazing level of service. I will always use Clear Title." "...she took such good care of my grandma." My grandmother moved from AZ to FL. It was not planned ahead and her house needed to be sold. I contacted Tiffanie and she worked with my Dad right away. Everything went so well and she took such good care of my grandma. We couldn't be happier. So grateful and thankful for all of their help! You are in great hands with Tiffanie and her team. "I highly recommend Clear Title..."
“Communicated well, closed escrow on schedule." “Tiffanie and April are very professional..."
“Tiffanie and Megan are always polite..."
"She was even able to close on..."
"What more can a real estate transaction ask for..."
"We had a great experience on both our transactions. Detailed and proactive service with experienced and caring escrow is the only way to make a successful sale. Our escrow officer was everything of that plus a lot more." The Tiffanie and Meghan are amazing to work with, they go way above and beyond, and I truly appreciate them! Heathyranne and Lisa were amazing when the closing was moved up and everything had to come together that same day! Also, just loved how they communicated completion of each step on closing. Thank you for the great work! Tiffanie, Meghan and Jodi are all ROCK STARS. They always communicate flawlessly and in a timely manner. There is no better escrow team in the valley!! I've been in the mortgage industry for a really long time. I did most of my time in the closing department and dealt with title companies on a daily basis. When it finally came time for me to purchase a home of my own, I was genuinely nervous for the title and closing piece because I know how a closing can go upside down real fast. I didn't choose this title company, but I feel so blessed that the seller did. Heathyranne seriously knows her stuff. Her and Lisa kept me up to date throughout the process and were very welcoming and professional once we got to the closing table. I've got to hand it to this title company. They far exceeded already high expectations. I would highly recommend their services. 10/10 will use them again in the future.